This coffee will be fresh roasted for you. 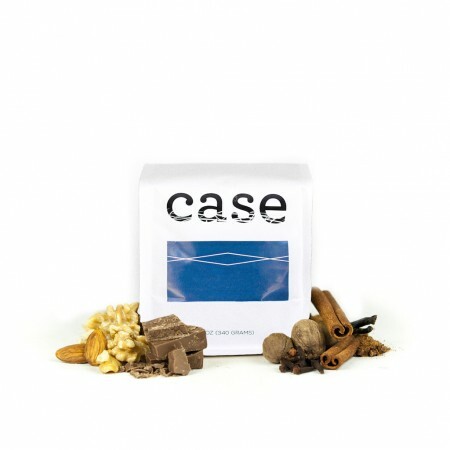 We expect Case Coffee Roasters will roast and ship this coffee in 1-2 business days depending on their roasting schedule. The Epiphany House Espresso Blend was blended and roasted for you by Case Coffee Roasters. This is a seasonally changing blend made up of fresh crop coffees that are sourced directly at origin. We specifically select components that create a rich, chocolatey cup with a creamy mouthfeel. It is tailored to be a versatile coffee that is delicious as espresso, with milk or black. seth.. this coffee has just shipped today so i havent gotten a chance to even look at it. but i'm not on the exlusive tier so i can get an espresso blend shipped to my door.. if you took the time to look at my last several shipments i selected, there's no way this would be en route. please don't do this again!! Was a little too bitter. Didn't taste like the notes giving. This coffee tastes mostly like milk chocolate but hints of citrus near the end of the shot. Not too interesting on its own but makes a good base for a cappuccino. Not a bad coffee, but nothing I would buy again. It just doesn't have anything unique about it. Kind of boring. Just had my first cup and it was fantastic! Bold rich flavor, yet not bitter. Smooth and aromatic. This review is a little late as I am going off of memory, but this medium-roast blend was pretty spot on in terms of flavor profiling and made a very delicious cup of coffee. For espresso, it was a well-balanced shot, with chocolatey notes at the front followed by a burst of mild acidity to finish it off. For normal drip coffee, I primarily use a Hario V60 pour-over, this coffee stands among my favorites. The pour-over method really lets the fruity notes shine, I don't quite remember the fruit, but I do remember fruit first, then a slight toasted hazelnut and finished off with, again, a dose of mild chocolate. All-in-all, I highly recommend this blend from Epiphany House, you will not be disappointed. Really good. I think better matched with milk. Kind of lacks complexity in pursuit of balance. Again, better than 99% of the coffee's out there. Fantastic coffee! My favorite thus far. Great blend! Very smooth with a nice flavor. Very full bodied with notes of cherry. Makes an excellent crema when used as an espresso. Very mellow and enjoyable, smooth from beginning to end. Clean finish. I'm looking forward to having this again! I liked how this was sweet, but not overwhelmingly so, and had a slightly fruity note to it. It was a little weak though, and did lose some of its impact in lattes--it seemed to work best alone. Not as strong of a coffee flavor, but still good. Smooth and balanced. This coffee was a great espresso and excelled as macchiato and cappuccinos. I like it a lot when I make a good cup, but it feels like it's harder to make a good cup than other beans I've liked. Needs to be perfect water/bean/grind ratio. this one is actually kind of disappointing. almost no aroma when you open the bag and kind of uninteresting and flavorless. Pretty good. Not as strong as I would prefer when with milk. One of my faves from Mistobox, great crema and great flavors. Awesome with steamed milk and is also great when brewed with a french press! Didn't find this to my taste....blends are getting tough-too many notes.